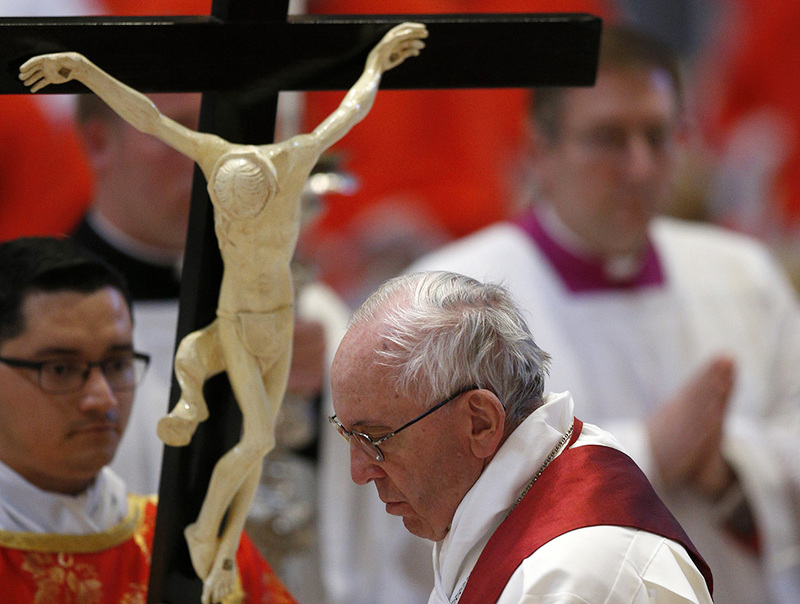 Pope Francis seems to be fixated on the wounds of Christ. 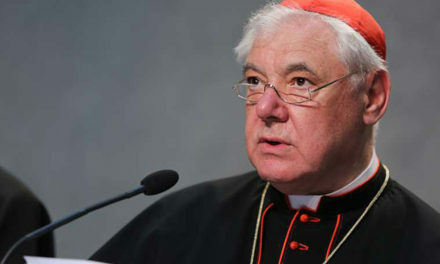 And he has suggested that other Catholics might want to be as well. He has offered meditations on Jesus’ pierced hands, feet and side throughout his pontificate, but since January, his references in impromptu speeches and homilies have been so frequent that it seems to be a major focus of his own prayer life. 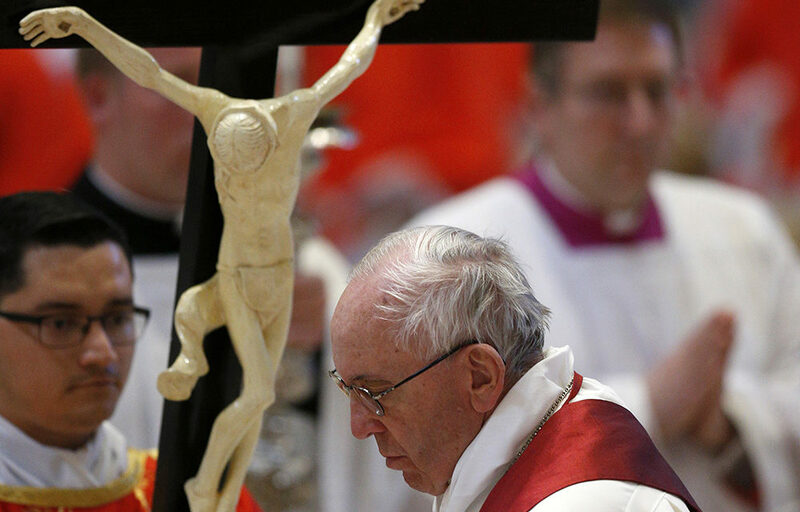 Sometimes, the pope said, artists want to focus more on Jesus’ post-resurrection glory, so they will make a crucifix of gold and adorn it with jewels. But when one is feeling lost or frightened or in pain, he said, look at a crucifix “before the glory” and recognize how Jesus “annihilated himself” to defeat evil and death. “When we pray that Our Father, let’s try to enter through Jesus’ wounds and arrive deeper and deeper, to his heart,” the pope said. “Enter into his wounds and contemplate the love in his heart for you, and you, and you, and me, for everyone,” the pope told thousands of people in St. Peter’s Square. The wounds of Christ were a natural topic of reflection during Pope Francis’ meeting Feb. 10 with members of the Stigmatine order; after all, their spirituality is inspired by devotion to the passion of Christ, vividly shown in the wounds he endured for the salvation of the world. Luminaries from St. Clare of Assisi to St. Alphonsus Liguori have guided the faithful in prayers focusing on each wound — left foot, right foot, left hand, right hand and side — and similar devotions are widely available online. 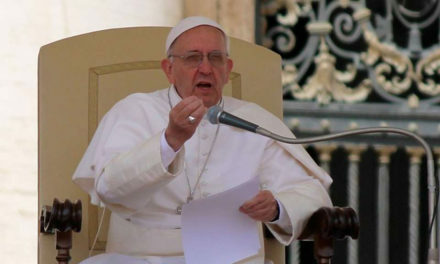 But Pope Francis’ remarks seem to have more in common with the meditations of St. Bernard of Clairvaux and, perhaps naturally, with the popular prayer, “Anima Christi” or “Soul of Christ.” The prayer often is attributed to St. Ignatius of Loyola, founder of the pope’s Jesuit order, and is included in the saint’s Spiritual Exercises. Mercy, the central theme of Pope Francis’ pontificate, and “the gift of shame,” something he mentions often, intersect in the two treatments of Christ’s wounds. At a morning Mass in mid-December, Pope Francis was talking about the tenderness of God and mentioned how when a child gets hurt, his or her dad or mom asks to see the scratch or the bruise, kisses it and says, “all better.” Pope Francis said he imagines God doing the same; God wants to see the wounds of his children, to touch them, bandage them and heal them. “There, in the encounter of our wounds with the wounds of the Lord, which was the price of our salvation, there is the tenderness of God,” he said. 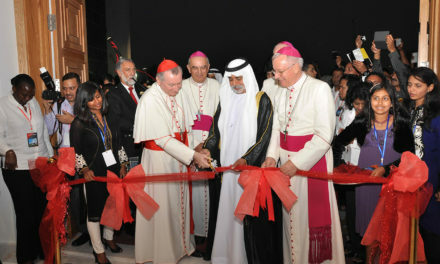 And, he told priests and religious in Chile in January, wounds are not something we should hide from God or from others. In fact, recognizing one’s own wounds, and the woundedness of the church, is the first step to being able to see and treat the wounds of others. After the resurrection, “Jesus Christ does not appear to his disciples without his wounds; those very wounds enabled Thomas to profess his faith” after he expressed doubts that the Risen Lord was really Jesus, the pope said in Santiago, Chile.